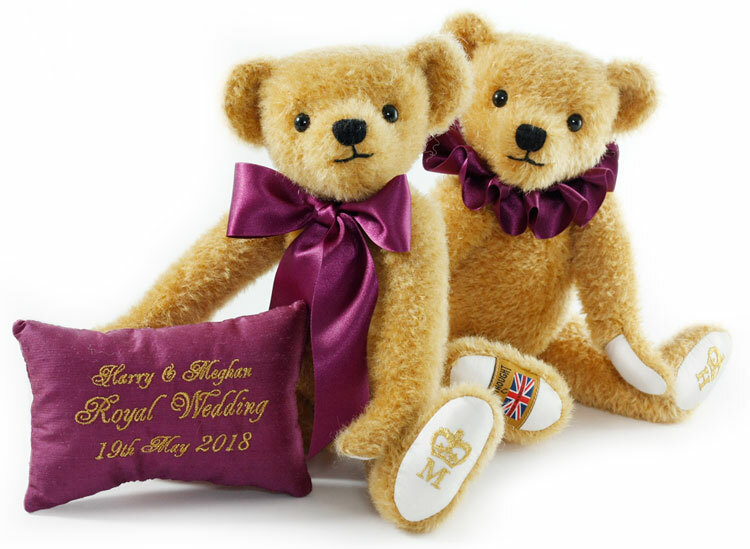 Merrythought has created a beautiful Teddy bear couple to commemorate the Royal Wedding of Prince Harry of Wales and Meghan Markle. The grand occasion took place on May 19, 2018 and had all the pomp and circumstance one would expect of a Royal Wedding. Merrythought bears are the only Teddys still made in England today. Therefore, it is quite fitting that this renowned company has created such a special set of bears to celebrate their beloved Royal family. 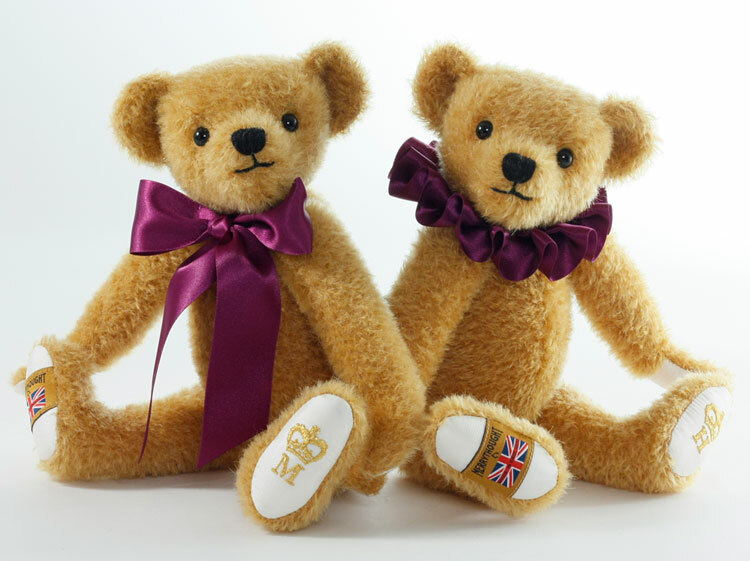 Each limited edition bear is hand-made in England from the finest golden mohair and features ivory colored, pure silks paws. 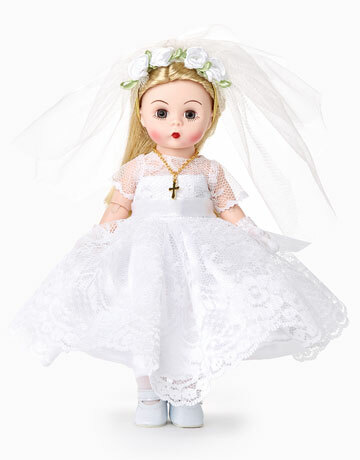 Measuring 11 inches tall, Harry and Meghan are both five-way jointed and bean-filled for extra softness. 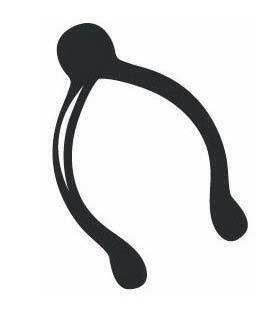 Their endearing expressions feature hand-stitched noses, warm smiles and soulful eyes. Designers at Merrythought have given Meghan a lovely royal-purple satin ribbon and Harry a complementing neck ruff. 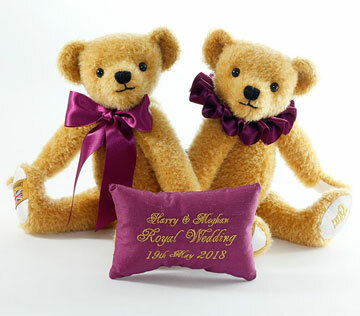 Beautiful embroidery featuring royal crowns and initials to mark the couple's first names, Harry and Meghan, embellishes their silk foot pads. As a final signature of their quality, each shows off a prestigious stamp of approval: the famous Merrythought gold-and-black label stitched to its right paw. To commemorate their Royal event, Harry and Meghan come with a striking royal-purple silk cushion with fine gold thread embroidery. This 2018 unique collector's edition is limited to only 200 pieces, each set presented in a luxury black and gold box. 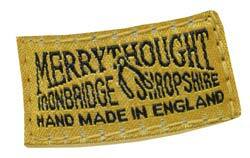 Only soft toys of the highest quality are allowed to carry the trusted Merrythought label. 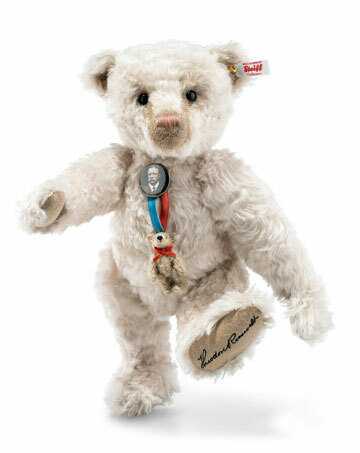 Merrythought ensures the utmost care and attention to detail go into everything they create, right down to the hand-embroidered nose and delightful smile that make each Teddy bear so unique.